Our Directors are listed below. Apart from specially-targeted marketing assistance for events, no salaries are taken from Hearts + Balls’ funds. All directors give their time and expertise on a voluntary basis. Jim considers himself enormously fortunate to have played at Stewart's Melville through the late 70's and early 80's and to have played with some very fine players. Whether the Calder, Brewster, Morgan and Scott brothers say the same about playing with Jim is open to conjecture. 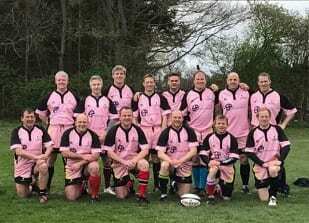 Jim’s exposure to the plight of the catastrophically injured player and his family occurred when Jonny Mitchell, Captain of North Berwick, suffered a serious spinal injury in the first scrum of the club's game at Hawick Linden. The experience of his involvement with Jonny's Trust Fund led Jim to support the wider causes that Hearts + Balls encompasses. Liam’s first experience of rugby career was playing for Kirkwall Grammar in Orkney in the 1980s. His younger brother, Dug, also a keen rugby player, was left quadriplegic after a terrible rugby accident in 1996. As a Trustee of Dug's Trust Fund, Liam became involved in Struan Kerr Liddell's appeal and realised that such injuries, although rare, were life changing to both player and family. Hearts + Balls emerged from a belief in the need for a more holistic approach to supporting players like Dug and Struan, both financially and emotionally. 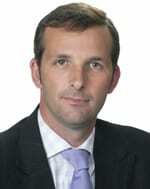 Fergus is Managing Director of The Sports Network Group Limited. Fergus is delighted to be a director with Hearts + Balls. Initially trained as a quantity surveyor, he had a successful career in the construction industry before a change in direction took him into the events and hospitality business. Alongside his career, he was a successful rugby player in his day, captaining Glasgow for 6 years, winning their last trophy before the Pro 12 win in 2014. He also captained Scotland on a tour to Zimbabwe and gained numerous Scotland A caps as well as playing 7’s for Scotland at the World famous Hong Kong 7’s. 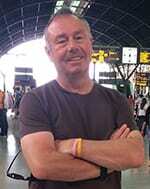 He is also a keen golfer and would watch or take part in almost any sport. Donald enjoyed playing rugby over many years and was lucky to live and play in New Zealand towards the end of his career. His undoubted rugby highlight was playing in the second half of a tie at the Crieff Sevens with his two sons! 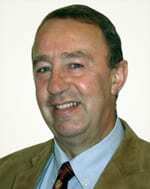 He is a Scottish Chartered Accountant with many years of business experience across a range of sectors. Donald joined the Board of Hearts Ballsand Balls in an attempt to give something back to those less fortunate than himself in a sport that has given him so much. A PR professional, Gregor played spent his playing career with GHK. Despite a number of surgeries and injuries, he realised how lucky he was to end his career unscathed and wanted to give back. After raising significant funds for the charity alongside his former GHK team mates, Gregor took on the position of associate director. 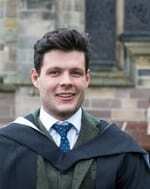 Having been schooled at Stewarts Melville and completed both a Bachelors' and Masters' degree at the University of Aberdeen, Alex is now an aspiring History teacher. A former captain at Aberdeen Grammar and Scotland U20 cap, he now plies his trade for Heriots in the BT Premiership. Bruce is currently Rugby Coordinator at Stewarts Melville College and coaching Scotland u17s and kick attack for Scotland 18s. 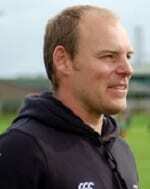 He played rugby at Melrose RFC with two seasons as club captain. The 7 a-side game has been a big influence in his playing and professional career with the Hearts + Balls Rugby 7s intuitive giving some great exposure to the charity. Bruce's role within the charity is to pull players together from across the country and promote the charity at 7 a-side tournaments events. Graham Docherty played for GHK before heading to South Africa where he played for Wanderers in Johannesburg. 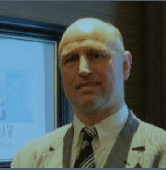 Returning to Scotland he joined the Edinburgh based family business with his father Jim, a Scottish internationalist from the famous Glasgow High side of the 1950’s, and his brother, Craig, who is now working with Scottish Rugby. So, he is a man with a rugby background! 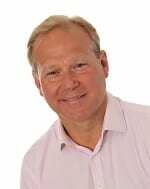 Graham is a Chartered Accountant with many years of experience in business which he hopes to use to good effect with Hearts and Balls. 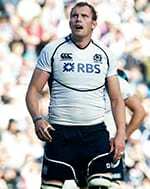 Al Kellock was an inspirational leader for Glasgow Warriors, captaining the side for nine seasons. Al retired from playing rugby at the end of 2014/15 season after winning the GUINNESS PRO12. 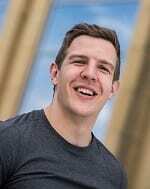 Al has spent the last three years working in the commercial department of Scottish Rugby, and now undertakes a business development role as well as working with the national team on commercial activities.